Got it done today (May 20). Artist: Keith "Bics" Bickle at Studio Exclusive Tattoos Karlstad, Sweden. I think he really managed to incorporate my 10 year old Chinese tattoo in the tree. What do you think? Very pretty! 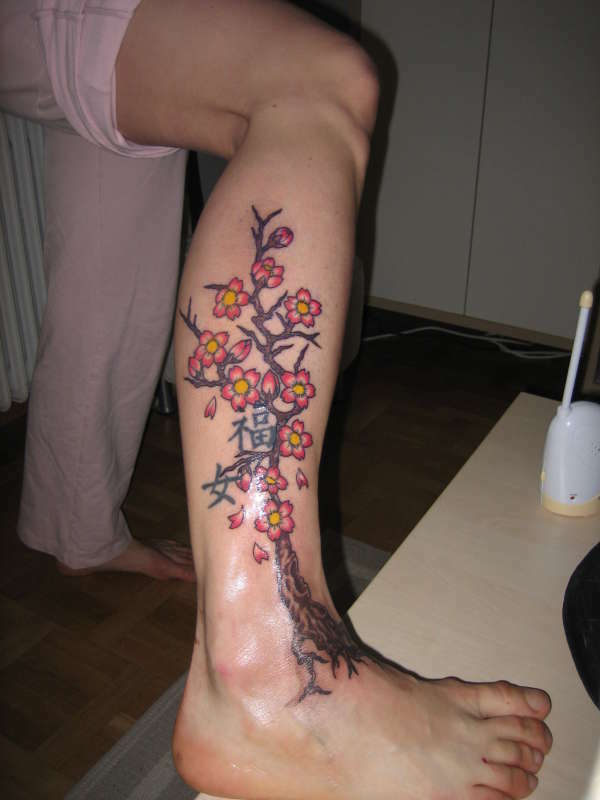 I love blossom tats. the chinese fits really well! I think your daughters name would be awesome!